Jo + Brian had one of the most incredible group of friends I’ve ever met. 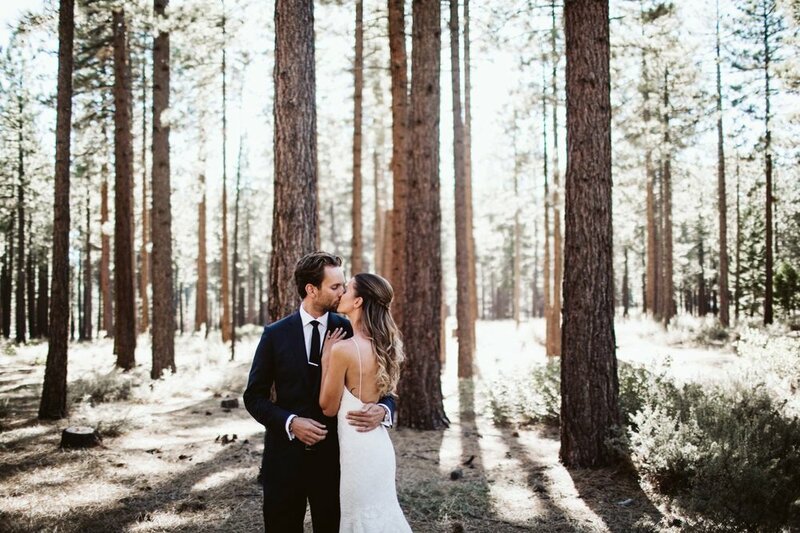 Their intimate wedding was hosted at Edgewood Tahoe in South Lake Tahoe — and honestly, it was one for the books. When I shoot weddings that aren’t fully traditional, they usually look like this. The duo opted out of a traditional stand-up bridal party (but still gave their besties a dress code) and chose to bring their super badass Range Rover up to Tahoe to accompany their photos. I’m not a car person…unless it’s a car like that. HA!! Across the board, this was one of my favorite weddings ever. The guests, the s’more bar (YES - READ ON!!! ), the couple themselves, the light during their ceremony….all of it was pure magic. I’ve never cried so hard through a ceremony, like ever. It was a good day. At the end of the day, these two felt like family and I was adding their besties on facebook, too. Those are the best days, and I’d like to take a moment to say mission: accomplished. Great photos come from great relationships — and that’s what we built throughout their wedding process. Wishing you the best, most adventure filled lifetime together, you two. You know I love you! xo!